There is no greater compliment than knowing you taught someone something that improved his or her life. Candace, thank you so much for once again sharing your time and wisdom with our staff members. I absolutely loved all of the information you shared and we walked away with a greater understanding of how important team norms are, and that we as a group do indeed have norms. Also, after looking back through the many 3x5 cards filled with staff members thoughts, it was apparent that they appreciated taking time to reflect on the importance of connecting integrity with professionalism in the workplace. It was a delight to spend time with you! Thank you for being so open and genuine with all of us and for continuing to help us grow as a team. We look forward to hosting you again here at the Center for Growth and Opportunity. The trainings I look forward to the most every year are from Candace Smith. I've attended Candace's professional and student trainings for the last three years and, not only am I always impressed with her skill and grace, I learn something every time. During her most recent visit, Candace held brunch etiquette and stand-up networking trainings with the groups I oversee. Her presentation style put students at ease and the format provided each individual an opportunity to ask questions, no matter how detailed or personalized. Candace truly has a talent for building others' confidence in a way that you don't find very often! Following each event, Candace sought feedback from all participants; she is clearly very committed to her preparation, execution, and continued improvement. It is because of Candace's trainings that I feel comfortable sending our students to networking events, conferences, meetings with faculty and administrators, formal dinners, and into the world as representatives of our organization. Instead of being intimidated by such opportunities, our students now look forward to and embrace each social gathering - personal and professional - they're able to attend. I cannot recommend Candace Smith Etiquette highly enough! Hosting Candace Smith to conduct three workshops in dining etiquette, networking etiquette, and professionalism etiquette for the economics students at SUNY Purchase was a pleasure and privilege. She discussed the importance of etiquette, professionalism, and civility in society in a way that was relatable to our students. The most wonderful thing about Candace’s workshops is that she creates an environment that is not intimidating for students confronted with formal settings etiquette for the first time. A majority of our students are first generation college students and were new to etiquette training. What I appreciated the most was that Candace never made a student feel they were doing something wrong, or brought attention to their mistakes, but instead gently guided the students towards the etiquette-ful way of doing the task. One of the best parts of Candace’s workshops are on how to avoid faux pas. Candace makes it humorous but also treats these situations with kindness. She helped our students get over the initial awkwardness of making a mistake beautifully. She also gave wonderful ideas on civility and etiquette in a world with vibrant diversity – whether it is the sensitivity shown in using correct pronouns for the LGBTQ community or avoiding faux pas on pronouncing foreign names. 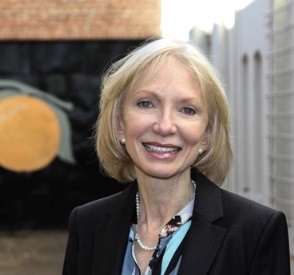 Candace also really connected the broader ideas of etiquette and professionalism with economics and our daily interactions in society and the teachings of Adam Smith in the "Theory of Moral Sentiments." She took the time to answer every single question, and also responded to some questions over email after the workshops were complete. She is a living embodiment of the professionalism and civility and etiquette knowledge that she imparts. My students thought it was one of the best and most useful training sessions they have had in their university education, and I hope we have a chance to introduce more students to Candace’s workshops in the future. Candace Smith held her second etiquette training for our staff at the Institute for Humane Studies. In training, she discussed professionalism, civility, etiquette, and an understanding of how these concepts translate to human betterment for individuals and society. Not only is Candace and expert on the topic of etiquette, as demonstrated by the many topics she has discussed on her website, but Candace masterfully tailors each training to the audience she is addressing. For example, at The Institute for Humane Studies, many of our staff take the ideas of Adam Smith very seriously. Candace was able to discuss etiquette and professionalism while tying in the philosophical arguments outlined in "The Theory of Moral Sentiments." Candace carefully orchestrated the business lunch, so every detail was covered before the session. During the meal, Candace was able to provide attention to each person in training and answer his or her concerns. It is a pleasure working with Candace, and she does everything that she can to be customer focused. Candace, thank you for presenting your outstanding Networking Essentials and Etiquette Dinner to the Cox Business Leadership Institute (BLI) students Thursday, September 13. The students really enjoyed learning more about this important topic, and you have provided them skills that they can use for the rest of their personal and professional lives. Thank you for investing in the next generation of world-changers. It was an honor to host you, and we look forward to a possible repeat engagement. Thank you for another great training session in Dining Etiquette. The third cohort of Chapman University School of Pharmacy, the Class of 2020 students, enjoyed the evening and appreciated your engaging and hands-on teaching style as this event becomes a valued annual not-to-be-missed tradition at CUSP. Your method of delivery allows them to be fully immersed in the learning experience. We appreciate your passion for keeping alive the lost art of etiquette and enlightening our future pharmacists to the relevance of managing themselves well in social and professional environments. I am certain the training will pay dividends to participants later in their careers. We are looking forward to working with you again soon on the Class of 2021. Bringing Candace Smith to present and teach a group of MBAs (as well as several staff) was easily one of the best decisions our career office has made. Her nuanced knowledge and personal desire to imbue the audience with more than simply the “rules” of etiquette ensured a successful event in learning how to network at stand up events and how to navigate a dining event successfully. Our students and staff walked away from the evening with the confidence to more comfortably navigate social engagements which may otherwise have resulted in awkward moments with potential employers and/or future connections. Candace has a unique capacity for putting you at ease and presenting the consummate model while simultaneously offering impactful critiques and, ultimately, upping your etiquette game. I had the pleasure of having Candace Smith come speak to my International Negotiations class, which is an elective course for my MBA program at Chapman University. Our coursework consists of casework that places us in various positions of business executives, foreign political stakeholders, and corporations where we must apply decision-making and communication skills that are appropriate to each culture. Mrs. Smith's seminar complimented our curriculum beautifully as she covered general etiquette expectations from each region. This included sharing humorous but also relatable faux pas to avoid, how to properly shake someone's hand in a business environment, basic greetings, proper dining, gift giving traditions, body language, speaking skills, and sensitivity to religions and beliefs. I highly recommend Mrs. Smith for any workshop to refine your etiquette skills. As a student about to enter the international workplace I found it incredibly useful to review my social skills needed for any professional setting from networking to negotiations and I feel confident in my ability to apply these tools. My biggest takeaway from this experience is to use etiquette as a instrument to respect different cultures and appreciate differences. 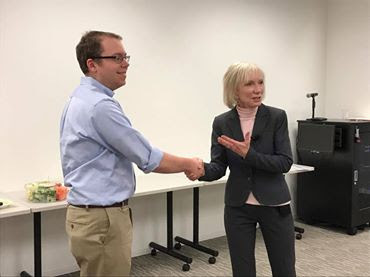 Hosting Candace was a real privilege, and after a look at what she would lead our students through I knew they were in for an important but often overlooked lesson on how to present themselves, how to communicate, and how to respond to often-tacit social cues. I plan to incorporate some of the lessons she taught our students into some of the professional development work I do with students and faculty. Candace Smith provided both etiquette and networking training sessions for our students in Samford University’s Brock School of Business. Students learned practical tips and techniques to use as they attend dinners, socials, or networking events with business professionals. Candace’s seminars added life-long value to the lives of our students. She engaged students in a way that captivated and engaged them throughout the presentations. We are truly grateful she was willing to share her time and talents with us. The etiquette workshop was a great learning experience for our graduate students. It helped them develop the soft skills that make all of the difference for successful networking at events and receptions. I have no doubt the confidence and knowledge gained will pay huge professional dividends for our students. Candace Smith helped me tremendously in an area that has always caused me anxiety: proper etiquette while in a social and dining environment. Being a professional in the hospitality industry, I am constantly working social and corporate events that require me to not only represent my position and the hotel I work for but to also lead my team to present the proper etiquette. Candace was professional, inspiring and engaging. Aside from that, she had a very relaxed and humorous teaching style that I thought was great. She was able to capture the attention of the different types of students attending the class and I was very impressed with her ability to handle a younger and somewhat louder crowd. She was able to answer all questions that were thrown her way and created a welcoming environment that made you comfortable asking whatever question that came to mind. While I thought I was doing okay with the personable skills that I already had, I quickly learned that I still had a lot of work to do. With Candace’s attention to detail, she politely was able to guide me to success. I personally worked with Candace as the Manager of Event Services at my hotel that was to host the etiquette dinner for a client. She was very pleasant to work with; she knew what she needed and was open minded to try a new style of training to make better use of our ballroom space. She is extremely detail oriented and being that way myself, I absolutely enjoyed working with her. I have walked away from the class with new knowledge of where to put the knife while dining, how to utilize just my left hand while networking while keeping my right hand free, how to properly utilize the utensils provided for any type of meal, and knowing how to recover from an awkward and clumsy moment. There are so many useful tips that she taught me and the list goes on. Thank you from the bottom of my heart Candace, you have truly helped me in not only my professional life but how to also strive in my everyday life with confidence. Candace Smith provided several trainings for our staff and student research fellows at the Center for Growth and Opportunity. We asked Candace to conduct a staff training on Professionalism in a Shared Workspace. She created a comfortable and purposeful setting for our staff to discuss important topics about our workspaces, our organization’s goals, and our roles. The conversation has continued since the training with Candace. We appreciate that Candace provided us with a framework and tools to discuss these critical topics. Candace also conducted a cocktail hour/networking training and an etiquette dinner training for our staff and students. In all trainings, Candace was well-prepared and thoughtful of the groups’ specific needs. Her approach to etiquette training Is logical and approachable. We are appreciative of the time Candace spent with our group! I attended the Etiquette Luncheon with Candace Smith event this Fall at a Jon M. Huntsman School of Business Focused Friday event. This was by far the best event I have ever attended at the Huntsman School in preparing Huntsman students for future business success. Candace taught us how to be comfortable using utensils while dining and to have confidence in a networking setting. I learned exactly how to eat certain foods and conduct myself in a professional manner while dining with colleagues. Since the dining etiquette training, I attended a Risk Management Superday interview with JP Morgan Chase & Co. in New York City. As part of the event, I attended a networking luncheon with executives and leaders of the company. This luncheon was very formal, including some of the classiest dishes I’ve ever experienced. Because of the training I’d received from Candace, I had confidence in my abilities to eat what I was served while interacting with those around me. After the luncheon, the JP Morgan executive host at my table approached me to say that he was "impressed with my etiquette skills." He said they seldom have students interviewing that show such ease and ability at the table. The following Monday, I was offered the summer internship position with JP Morgan Chase. Candace Smith conducted an excellent seminar on socializing at networking events for our entire staff that was both fun and useful. Our team ranges in age from early twenties to early sixties and it is multicultural. The workshop was appropriate for all. Candace was engaging, professional and a delight to listen to. She spoke to our freshmen chapter of the National League of Young Men. Candace offered practical skills on introductions, dining out and gave each boy a demonstration of the proper handshake. She made an effort to find out what types of gatherings they had coming up, in order to participate confidently and be a gracious guest. The Class of 2020 enjoyed her meeting and are prepared to make a good first impression! Thank you Candace for creating a fun and interactive etiquette lesson that these members will take with them into young adulthood. Candace Smith presents etiquette in an entirely gentle and logical manner. I feel that etiquette can be intimidating for those who wish to learn the subject because we simply don’t know some of the rules that we feel we should know. Candace, with good humor and patience, helped our students (and faculty) learn not just the basic rules of dining etiquette but also the reasons why those rules exist. To know that these rules of dining etiquette are built, not out of duty, but out of respect for our fellow diners makes them less superficial and more relatable. 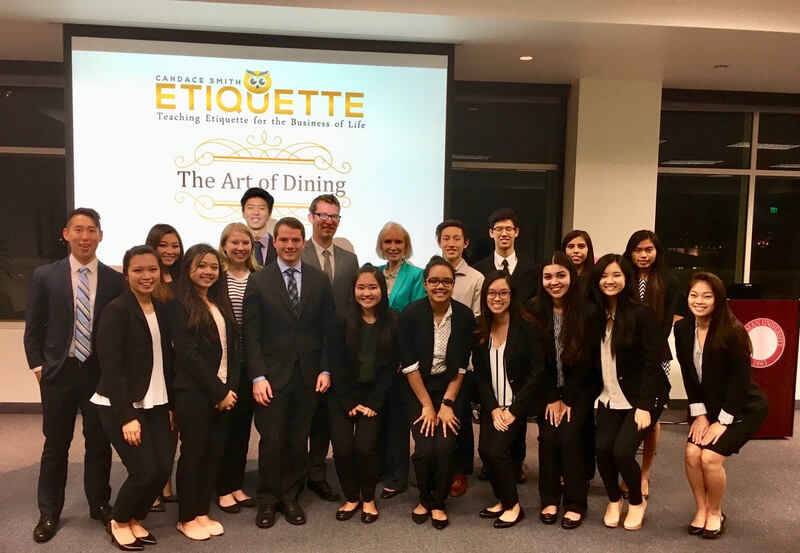 Thank you so much for conducting the etiquette workshop with our first-generation college students during the Promising Futures Bridge Program. In our student surveys, your workshop was one of the highest rated in the program and students had nothing but wonderful things to say! Your ability to take a formal subject and present it in such a relevant and engaging manner is nothing short of magical. The undergraduate students who participated to date still cite how helpful the workshop was in navigating the many networking events offered on and off campus. Their growth in confidence at such events is a true testament to your methods. Your kind nature and high regard for the art of etiquette make for a wonderful presentation covering the intricacies of networking. I look forward to having you work with our first-generation students again! Candace Smith has the ability to communicate etiquette knowledge to students and faculty whether you are a novice or a professional, she can add value to your program. She has the ability to convey this important information in a guiding and congenial manner while impressing upon you why the information is important. I never knew how etiquette is so important until I attended your dining training in Logan, Utah. Before the training, I thought of myself as a polite guest. I was terribly mistaken! But I learned that in the best way possible with Candace. I relearned everything about etiquette at this training. Not only did I really enjoy learning about how to improve my etiquette, I enjoyed the night and company more than anything else. Candace made learning fun and exciting. I thoroughly enjoyed her company and personality. She created an environment that was most memorable. We laughed and had some great conversations with not only each other but with the whole group. While being a college student, I think this was one of the best experiences I could have asked for and will forever remember that special night with Candace. Candace is an excellent etiquette teacher. Etiquette has always seemed an intimidating topic to me, but her kind and gentle nature made it a pleasure to learn. Candace was the consummate professional. She came and taught our students displaying both grace and professionalism. The majority of our students in the MMIS Program at Utah State University are international. Candace was able to teach basic concepts that applied across many different cultures. In addition, she was able to captivate the audience with her charm, teaching the concepts while maintaining a sense of humor. Days after the event, I am still receiving thank you notes and compliments expressing how wonderful the session with Candace was. She left such a lasting impression that we, as a school, would like to invite her yearly to replicate the successful event. I cannot say enough about how wonderful it was to have her interact with our students. Your educational etiquette class was incredibly helpful! Now I will always “own the room" when I walk in because “I belong there.” I have already been to a reception and used your helpful set up to hold everything in my left had while being able to network. Thank you so much for taking the time to meet with the Market Process Scholars and also to teach us about etiquette in the workplace. For the past few years our organization has had the distinct pleasure of having Candace Smith work with our staff in small group settings. Candace's professional etiquette training has had a transformational impact on our professional staff and her approach to teaching has helped us strengthen the core commitments we share as part of our organizational culture. Each individual that participated in the training sessions with Candace came away with a stronger commitment to live life with more grace and dignity--attributes that we think fall right to the bottom line of how we ultimately measure success within our organization. In my experience, the power of the message that Candace has shared is not only embedded in the message she shares through her formal teaching but also in the quiet power of her example of living by principles of graciousness and mindfulness. As an organization, and as individuals who have been forever changed by the experience of being in one of Candace Smith's learning sessions, we cherish our association with Candace, and look forward to her continued visits. As an organization that employs a large number of young professionals, we were very excited to have Candace come and host a round table discussion on common etiquette questions that they had. The insight and expertise she imparted were invaluable and highly educational. It was a pleasure for us to hear her personal experiences as they related to the questions that were asked. Later, it was our treat to have Candace work directly with a group of college students on some of the more basic etiquette tips for cocktail party socializing. Without a lot of prior experience, the notion of "etiquette training" or "cocktail party socializing" could seem intimidating. But like any great host, Candace's humble, upbeat, and informative approach dispelled any sense of anxiety or worry that the students had, and a number of the students reported that it was one of their favorite pieces of training they've received while in school. Any business or organization that is looking to bolster the confidence of its employees with regards to etiquette training should seriously consider the high-quality, positive, and instructional approach that Candace provides. Candace was a joy to work with! She presented to our MBA students concentrating on first impressions, greetings, introductions, and network gathering events. She has a relaxed, entertaining demeanor when she teaches, which isn’t really something you’d expect when talking about an ‘Etiquette’ professional. The students enjoyed learning, and applied their lessons both during the class and during a mix and mingle later that night. My hat’s off to Candace for connecting with the students and providing such a valuable lesson. Candace Smith is the best! She won over our rowdy and boisterous group at our staff retreat with great presentation skills, charm, and a terrific sense of humor. She clearly knows her subject and our team was engrossed in learning etiquette and how to raise our level of success in social situations. Here's another bit of advice: I took my two teenage boys to a session with Candace and it worked wonders on their attitude toward social situations! I'd recommend Candace Smith to any group or family interested in learning the rules of etiquette in an understandable and accessible way. Candace is graceful and poised in all types of presentations. The professional etiquette training I attended this time was set in a round table fashion so that it could be a discussion, allowing the staff to share ideas and comments while Candace easily directed the conversation to cover professional greetings, lunch meetings, proper email and text communications and meetings. The time Candace spends to discuss large to small situations was so helpful. I left with ideas to improve my professional interaction both internally with colleagues as well as with external professional partners. When I was searching for a new academic position this year, I met with Candace Smith to learn the etiquette guidelines which would prepare me for interacting in several settings, both formal and informal, including dining. She helped me think about how to improve the way in which I approach colleagues, university authorities and donors during formal and informal meetings and gatherings. I feel that all around, Candace has helped me to transmit a confident, reliable and clearer message of who I am and where I am going. Candace Smith worked with our students to help them develop the skills and confidence they need to present themselves well. She carefully tailored these trainings to the needs of our group. As a result of her expertise, passion for the subject, and careful attention to detail, the students came away with a wealth of practical tips for use at receptions, dinners, meetings, and other professional events. Thank you, Candace, for an enjoyable and productive experience. You can find the same confidence in social and business situations as these students. 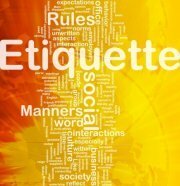 Contact me to schedule an etiquette learning session for your company, group, or organization.